"You're never fully dressed without a SMILE!" 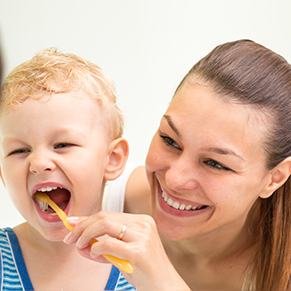 At Dr. Band’s office, you will receive the best dental care we can provide. Our overall goal is to make your visit to the dentist as comfortable as possible while maintaining a friendly, hospitable atmosphere. 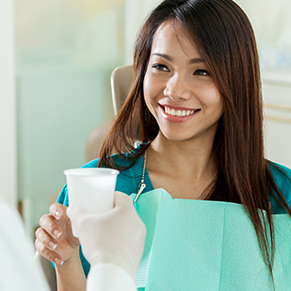 Our attentive team will determine which dental treatment would best suit your needs, and deliver it in the most efficient manner with clinical excellence and courtesy. 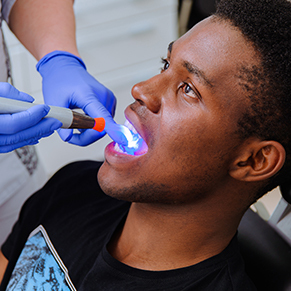 After your consultation, or once you have explained your concerns to the dentist, a thorough examination will be performed, and a specific treatment plan will be developed. Written explanations of most dental procedures and problems are available for your reference. We would also be more than happy to answer any questions you may have regarding your treatment. With good-looking, functional teeth, you will feel confident when you smile “from ear to ear” at any age! We will also teach you how to combine professional dental evaluation with your daily, oral self-care routine to maintain optimum oral health that will last a lifetime. Emergency care is always available. Dr. Band was born on an Air Force Base in Wichita Falls, Texas and moved to New Jersey when he was only two years old. He has lived here ever since. Dr. Band attended high school in East Brunswick, NJ and continued on to earn a degree in Psychology at the University of South Florida in 1991. Dental school followed in 1992 at the University of Medicine and Dentistry in Newark, NJ. Dr. Eisenstein started his professional association with our dental team in 2010. Prior to this association, he was the owner of PerioCare Spa, a holistic dental office specializing in periodontics with services in dental implants and cosmetics. He had been clinical associate professor of periodontics at the University of Pennsylvania. "Kenny Band is a quality, care professional. He has been my dentist for almost 20 years. 2 years ago on Thanksgiving Day, I woke up and chipped off the laminate on my front tooth. We were hosting 20 people and I was mortified and afraid to open my mouth. I called Dr. Band and he told me to meet him at his office. He fixed my tooth….ON THANKSGIVING DAY! That’s service! "Dr. Band has been my dentist for as long as I can remember. I have recommended him to many people with plenty of confidence. His knowledge and professionalism along with his caring and friendly personality are the reasons why I will always be a loyal patient!"